With our vast selection of jackarches and more than 100,000 feet of production space, the experts at Stromberg Architectural Products can create the perfect GFRC jackarch for your building. Stromberg can produce first-rate jackarches from GFRC that will enhance any building; their work can be seen at world class resorts, casinos and hotels. Since jackarches are made of several pieces, your design options are increased when you commission Stromberg to make one of these decorative elements for you. Custom or stock jackarches made of glass fiber reinforced concrete are among the possibilities, as well as color schemes, textures and finishes to suit your building’s exterior. Discover your options with Stromberg. Stromberg is a multinational producer of superb architectural products; their most popular product is GFRC. Their work can be found all over the world at 5 star hotels, hospitality locations, churches, universities and government buildings; they have the talent to bring your architectural visions to life. The experts at Stromberg practice eco-friendly, sustainable building practices. 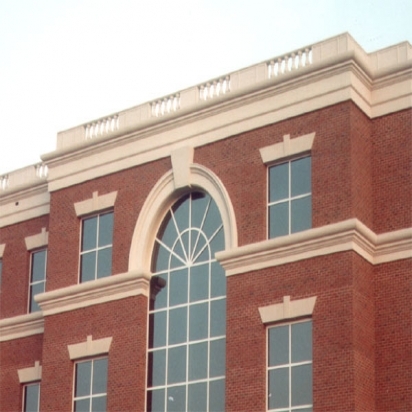 Their fiberglass reinforced products will help you add LEED points to your building. You’ll have a large number of stock and custom GFRC jackarches to choose from when you work with Stromberg. GFRC jackarches can be created in a variety of colors and finishes. GFRC is a totally green product; it’s made from minerals and has a low environmental impact. GFRC is lightweight because it’s reinforced with glass fibers instead of concrete. This means your jackarch will install easily and quickly, and your shipping costs will be reduced. GFRC jackarches can be made into almost any design you can imagine; this gives you more design freedom. GFRC is sprayed or poured into a mold, so it can adapt to almost any shape you have in mind. The professionals at Stromberg Architectural Products will work with you very closely throughout every step of your project. Their goal is to create your GFRC jackarch so that it meets all of your expectations and is a perfect fit for your project. Stromberg is here to help with CAD details, design assistance and all specifications. Contact them today at 903-454-8376 for your free custom quote, and put their 30 years of experience to work for you.